Stove-enamelled black aluminium base, chemi-blacked steel and optical glass prisms. This is a work in a series of sculptures called Rites of Passage, made between 1972 and 1976. 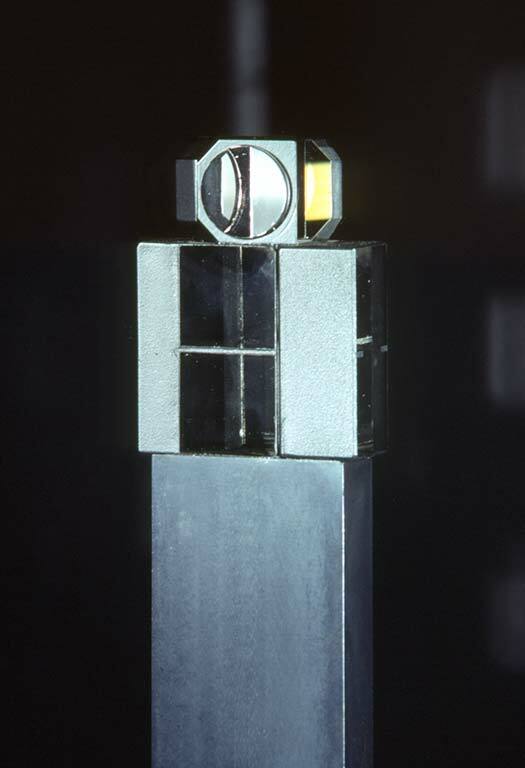 Liliane Lijn made this sculpture while she was writing the final version of Crossing Map, 1983. 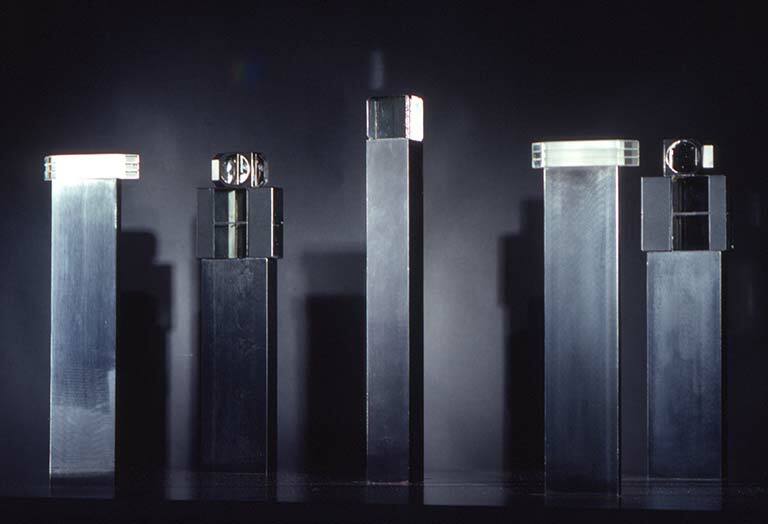 While making it the work, Lijn decided that she could use small prisms as heads and steel as the material for the bodies of the figures – there also came the realisation that the prisms didn’t need to be large. Even a small prism refracted light producing a rainbow. That seemed at the time to be full of metaphorical significance. 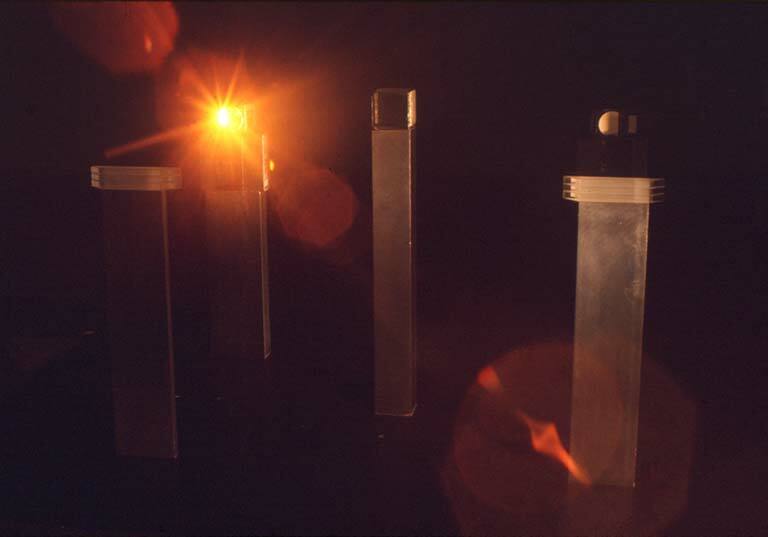 These sculptures were dramas celebrating the moments of passage between different states of consciousness. The earliest of them were encased or sealed in perspex cases to signify that they were closed worlds. The last two were left uncased. They take inspiration from Egyptian temple sculpture and the rituals of the Egyptian Book of the Dead. They also play with scale and invite the viewer to become small to enter them and participate in their cosmogony. This is the first of Lijn’s works that speaks about Light contained within Darkness. 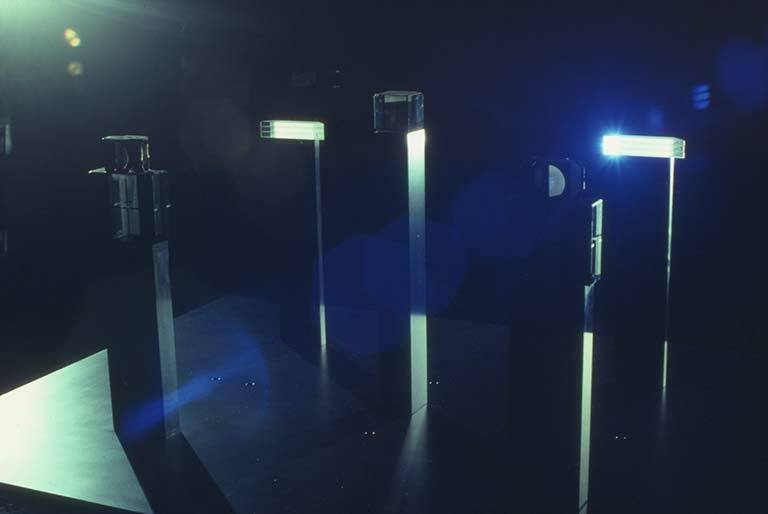 The idea of light within darkness, or spirit within matter is central to Liliane Lijn’s work.